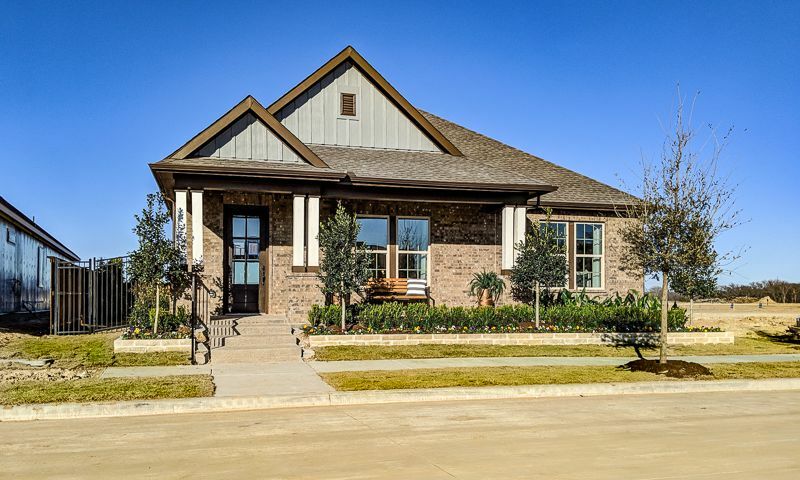 Viridian Elements is the newest addition to the Viridian master-planned community, located in Arlington, Texas. A 55+ active adult community spread across 141 acres, Viridian Elements will feature courtyard and single-family homes that come in a variety of sizes and designs. The clubhouse will include a demonstration kitchen, fitness center, pool and game tables, and meeting facilities. Outside, residents can enjoy a game of pickleball or bocce with friends and neighbors, work on your golf game on the putting green, lounge on the patio, or take a dip in the pool. The Viridian master-planned community also features a collection of top-notch amenities for all of its residents. Viridian Lake Club includes four pools. There are 850 acres of open space and lakes and a 150-acre wooded conservation area where you can fish, bird-watch, or go for a walk along the miles of pathways. There's also a dog park for your furry friends. Stop by Viridian Artisan Market for special events and delicious foods. Located in the city of Arlington, residents have an assortment of options when it comes to dining and entertainment. Plus, given its close proximity to Hwy 360 and Airport Freeway, it's a short drive to both Dallas and Fort Worth. Check back soon for more information on the lifestyle in Viridian Elements. 55places.com is not affiliated with the developer(s) or homeowners association of Viridian Elements. The information you submit is distributed to a 55places.com Partner Agent, who is a licensed real estate agent. The information regarding Viridian Elements has not been verified or approved by the developer or homeowners association. Please verify all information prior to purchasing. 55places.com is not responsible for any errors regarding the information displayed on this website.